A few years ago I realized that during Zen meditation, while paying attention to my breath, I was also aware of my heart beating. 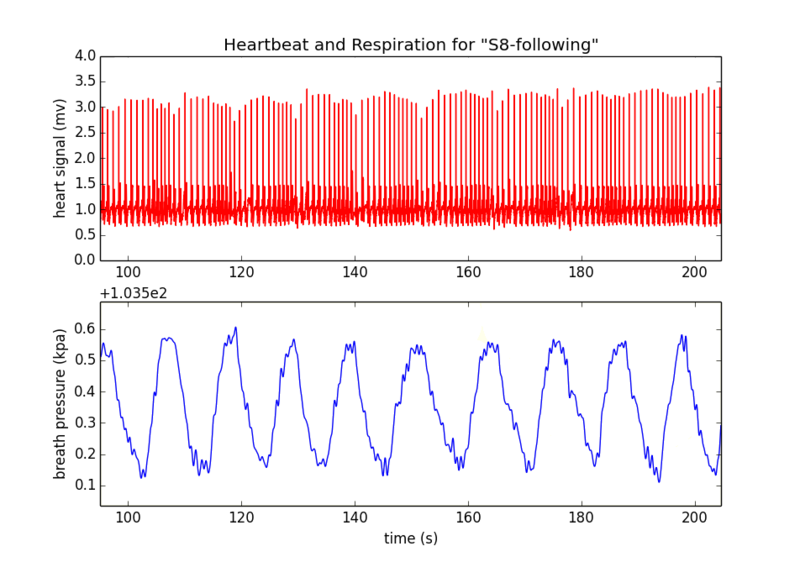 I started counting heartbeats during my inhalations and exhalations and found that during an inhalation, there were about four beats and during the exhalation roughly 8-10 beats. I thought it would be interesting to match a fixed number of beats, say ten with each exhalation, and maintain the synchronization during the meditation period. The synchronized rhythm felt pleasurable—having both the heart and lungs involved seemed to help me to maintain a clear mind. 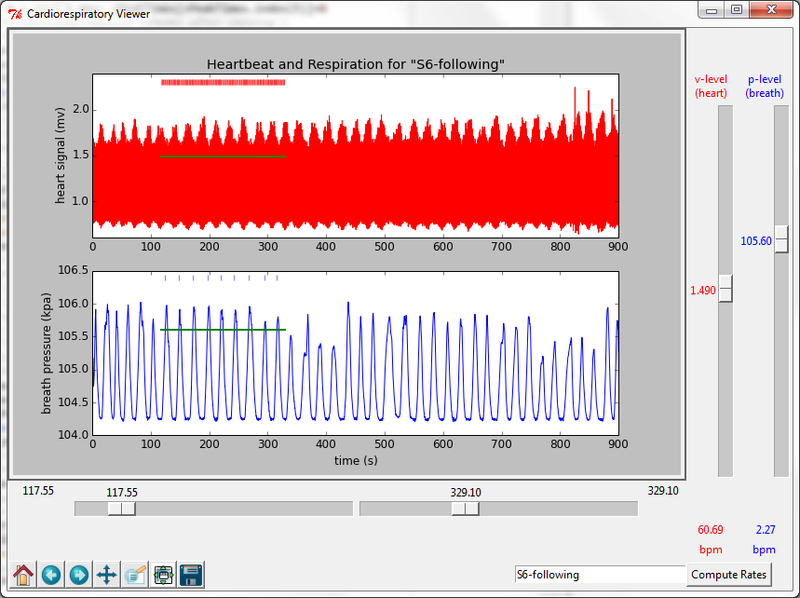 This experience was my motivation for recording an electrocardiogram (ECG) of heart rhythm simultaneously with respiration. 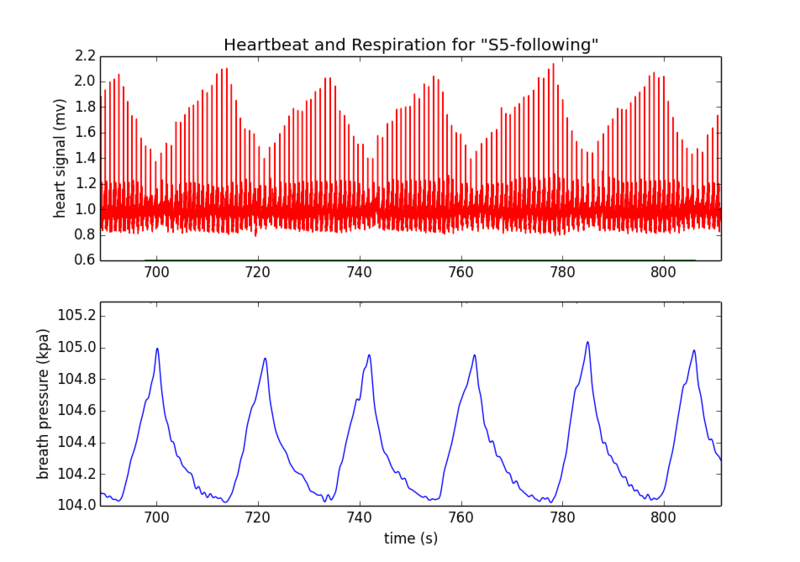 What does the ECG signal look like during inhalations and exhalations in meditation? Are there unique qualities of heart rhythms during meditation compared to other activities? Do experienced meditators show different ECG patterns than novices? 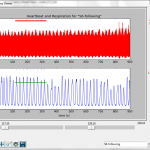 Does heart rate variability (HRV) during meditation differ from HRV in other activities?